Comoros coach Amir Abdou has extended his contract until June this year with the option of a further two years. The 46-year old, who has been in charge of Comoros since January 2014, saw his last contract expire five weeks ago. “The contract has been renewed for 6 months with the same conditions as before,” Comoros team manager Ben Amir Saadi said in a press conference. 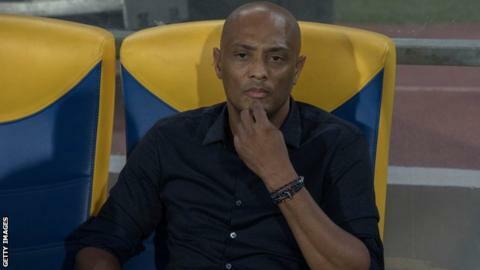 The Comoros Football Association had initially offered a three-month extension which was rejected by Abdou, who instead asked for a two-year deal. The latest contract extension means Abdou will be able to complete the Africa Cup of Nations qualifying campaign with the final group match in Cameroon in March. A victory for Comoros would see them qualify for a first Nations Cup finals at the expense of Cameroon on the head-to-head rule. Under Abdou the island nation has recorded some impressive home results in the 2019 qualifiers including a 2-1 win over Malawi as well as a 2-2 draw with Morocco and 1-1 with Cameroon. They are third in Group B of the qualifiers with five points while Cameroon are in second with eight points behind Morocco who are already through to the finals. Malawi, who can no longer qualify, are bottom with four points.